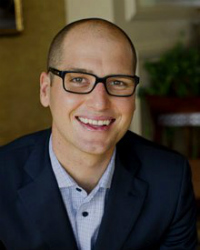 Michael McQueen understands what it takes to thrive in a rapidly evolving world. Widely recognized for having his finger on the pulse of business and culture, he has helped some of the world’s best-known brands navigate change and stay ahead of the curve. As a leading specialist in demographic shifts, change management and future trends, Michael features regularly as a commentator on TV and radio and has written four bestselling books. His first book, The ‘New’ Rules of Engagement focuses on strategies for leading and connecting with Generation Y. His newest release, Winning the Battle for Relevance is a revealing look at why even the greatest brands and organisations become obsolete… and how to avoid their fate. Michael is a familiar face on the international conference circuit having shared the stage with the likes of Bill Gates, Whoopi Goldberg and Larry King. He has spoken to hundreds of thousands of people across 5 continents since 2004 and is known for his high-impact, research-rich and entertaining conference presentations. In 2015, Michael was named Australia’s Keynote Speaker of the Year and was inducted into the Speakers Halls of Fame. How you ever wondered how it is that iconic brands and great ideas go from prominence to obsolescence while their competitors go from strength to strength? The secret to maintaining growth, vitality and momentum for many years and decades comes down to one thing and one thing only… relevance. Every brand and institution today is facing a perfect storm of technological disruption and market upheaval. As traditional business models and industry structures come under increasing threat, agility and adaptability are more important than ever. The future success and survival of many businesses and organizations will rest on their ability to anticipate, prepare for and even pre-empt change. Audience members will leave this presentation with an action plan for navigating the turbulent times ahead and emerging stronger than ever. Indisruptable is an ideal stand-alone conference keynote or an extended half or full day program. If you have you ever found yourself confused, frustrated or even offended by the attitudes and expectations of today’s younger generation, you are not alone. Employers, leaders and educators the world over describe this group as being technology addicted, impatient, unfocussed and disrespectful. Audience members leave this session with a clear idea of what is shaping the next generation, why they are the way they are, and how to connect with them in meaningful ways. Smart organizations and leaders are beginning to recognize the significant commercial benefits of engaging younger generations in the workplace. They are discovering that in addition to being ambitious, tech-savvy and adaptable, Gen Y can be a powerful source of creativity and fresh thinking. The challenge for business owners and managers is to develop organizational cultures and practices that will attract, motivate but most of all retain this young group. Why no organisation can afford to disengage Gen Y – a group who will make up over 40% of the working population by 2020. Audiences leave this session with a clear understanding of what does and does not work in getting the best out of the next generation. More importantly, they leave armed with proven and practical tools for increasing the engagement of their younger team members. This session is a must for organizations and managers who want to prepare for their future workforce and capitalize on the benefits young employees have to offer. Ideal for: HR, leadership-focussed events, sales teams, small-to-medium sized companies, pharmaceutical, financial services, retail, customer service, public sector, education. In a recent global study, business leaders reported that generational differences were the leading cause of workplace conflict today – far outweighing the conflict caused by differences in gender or cultural background. While the generation gap may be nothing new, we are living and working in an age where its influence is far more pronounced. For the first time in history, 5 different generations may be working alongside each other in a team at any one time. Audience members leave this session with powerful insights into how both their older and younger colleagues may view the world very differently. In addition, they leave with insights and strategies for better connecting and communicating across the generation gap. Many thanks for your presentation at our national conference. The guys just loved it and it was referred to so often that night at our gala dinner event. Congratulations on taking our brief so well and turning it into a session that well and truly hit the mark!